This is a module with some history. It has been created 10 years ago, in 2009. Originally it was designed more as a research tool. Then I have received lots of notes and wishes regarding this module. As a result, many new features have been incorporated there, and now a new version of this module is released. It is better to explain how this module works showing some practical example. Let us do it together. For the analysis we have downloaded SNP500 since 1950. Our goal is to make a forecast for SNP500 using methods of intermarket analysis. So, to conduct intermarket analysis, the first step is downloading data for some other financial instrument or instruments. Then we look how these financial instruments (including SNP500) work together. To choose financial instruments for intermarket analysis, we may use any information (books, courses, etc.) Let us consider the idea that T-bonds are a leading indicator for stocks, and its effect is different at high and low interest rates. We can easily investigate this phenomenon with the new Intermarket module of Timing Solution software. 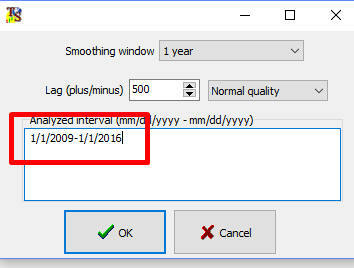 A standard for Timing Solution dialog box appears. It is designed for downloading price history from variety of sources: files, clipboard, Yahoo and Quandl services, eSignal, etc. Often data sources do not provide price history for more than a certain amount of years. It means that we should download price history from different sources covering different time intervals. In this case instead of using "Load" button click "Update" button: new pieces of price data will be added to already downloaded price history. It is recommended to type there the name of a downloaded financial instrument, it serves as a reminder. 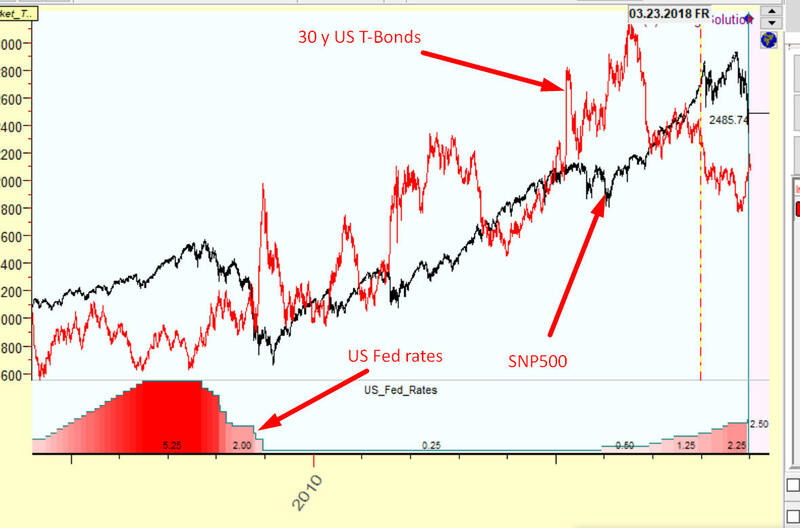 There is a chart there for downloaded SNP500 index, a red curve that represents US T bonds and a red diagram in the bottom panel that shows US Fed rates history. Is there any correlation between these financial instruments? Usually researchers display both charts (SNP and T bonds in our example) and watch how they move together. Charts are considered correlated - if they show approximately the same movement, i.e. if one instrument goes up, another instrument shows up movement as well and vise versa. They are anti correlated - if they show opposite movement, i.e. if one goes up while another goes down and vise versa. Such visual analysis can be done by zooming the price chart and watching a mutual behavior of these two charts (SNP500 and T-Bonds in the example). However, to see the whole picture we should conduct a more formal analysis. The red periods there show dates when SNP500 and T-Bonds are correlated in a positive way, i.e. when they move in the same direction. Blue zones show anti correlated periods i.e. dates when these financial instruments move in opposite direction. 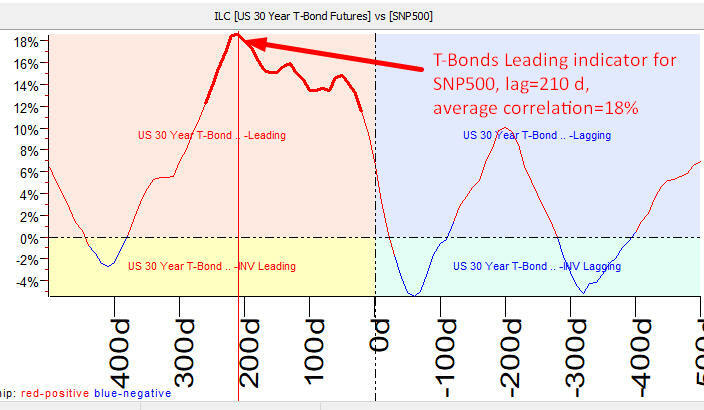 In this example SNP500 and T-Bonds correlated positively till 1999; this is a period of high FED rates mostly. 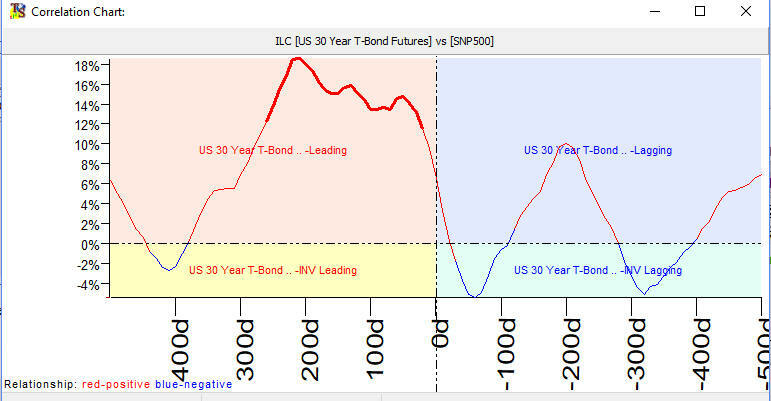 Since 1999 we have the opposite picture: SNP500 and T-Bonds correlate in a negative way, and rates were mostly low. 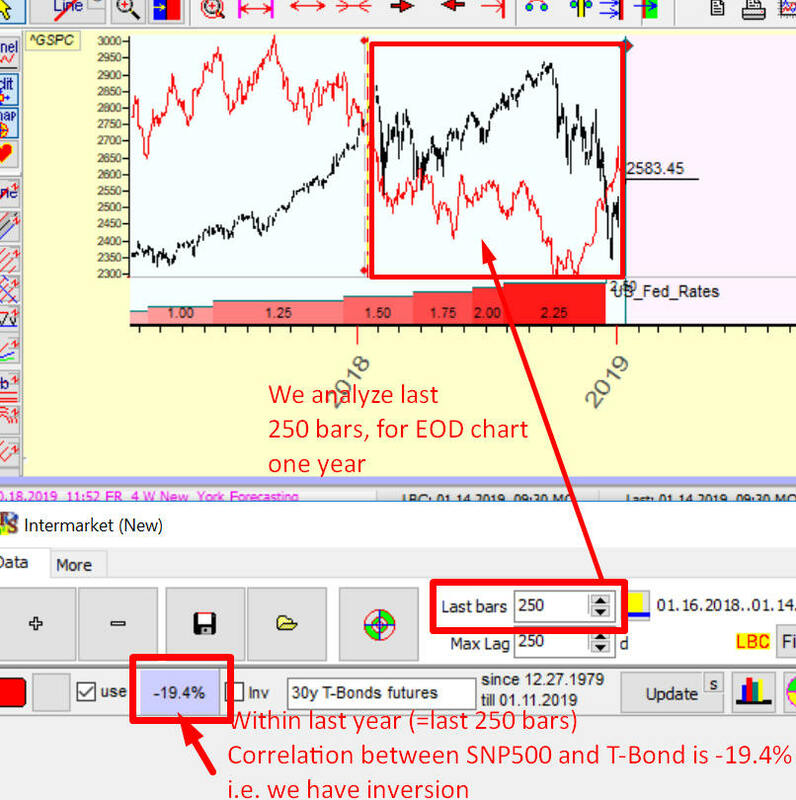 The diagram below shows that in the middle of 2013 SNP500 and T-Bonds mostly moved in opposite way (inverted similarity), and the correlation is high negative -81%. The correlation between markets gives a valuable information. However, there are more interesting things in the Intermarket Analysis. The main goal of intermarket analysis suggested by Timing Solution is finding a leading indicator - the indicator that moves ahead, providing some useful tips regarding possible future movements. In the example above, we have already tried to find a correlation between two different markets (charts, financial instruments). When a direct comparison does not work, we may try working with shifted charts. This approach has a significant advantage: if we find a lag, it means that we have some time to be prepared for the next market move. 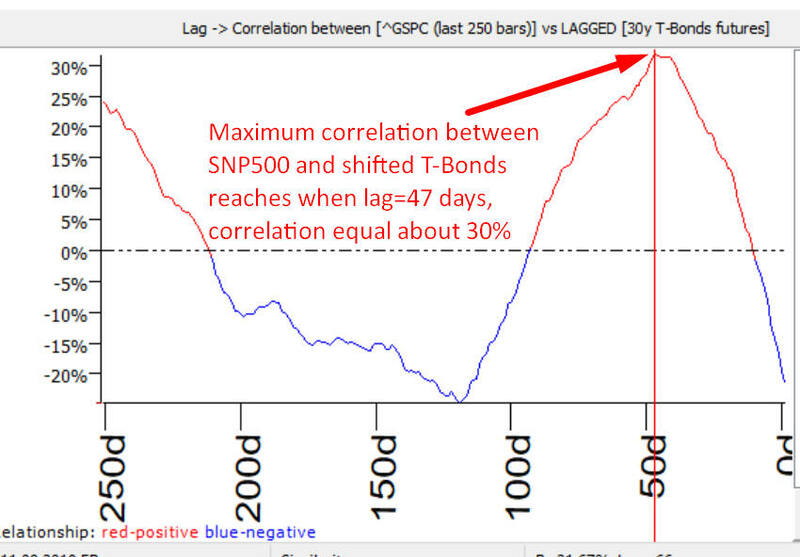 We may change lag values to find a better correlation between the researched financial instrument (SNP500 in our case) and the shifted chart (T-Bonds) . 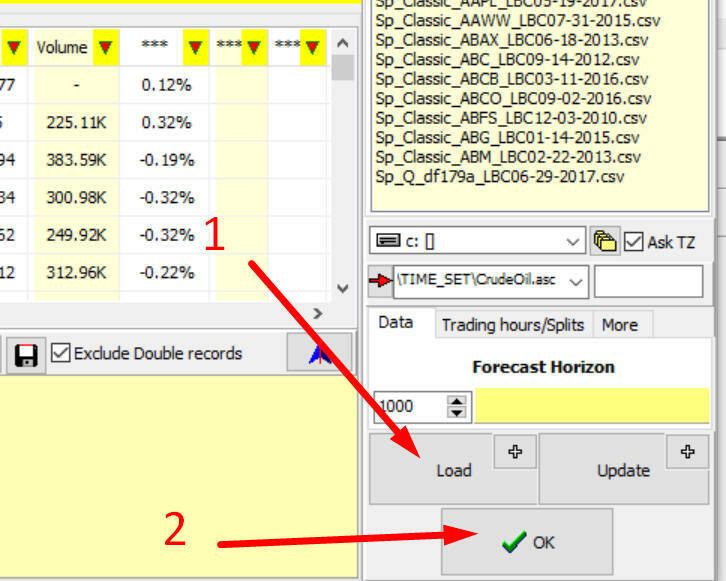 What lag is better for forecasting -10, 50, ..20 days - or some other lag? Let me say from the very beginning: there are no rules here that work forever (that is always in finance, no surprise here). However, applying different mathematical approaches, it is possible to get the best lag, and below you will find the description of these techniques. Before going further, some definitions must be considered. The research of the relations between a financial instrument that we consider as a leading indicator (2) to the financial instrument whose behavior we would like to forecast (1) is called as "2 versus 1". These numbers, 1 and 2, relate in the program to the download routine. In our example, 1 relates to SNP500 and 2 relates to T-Bonds. We consider T-Bonds being a leading indicator to SNP500. So, we would research "T-Bonds versus SNP500". We have the negative correlation here = -19.4%, so these instruments are more inverted. 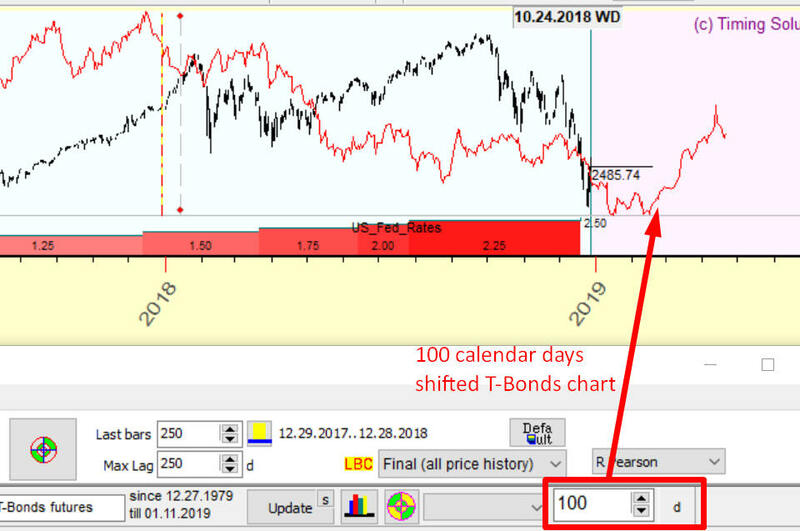 Now shift T-Bonds price chart one calendar day ahead and watch how the fitness between SNP500 (last 250 bars) and the shifted T-Bonds chart has changed. The diagram above shows that at lag=47 days the correlation reaches its maximum value about 30%. Or at least you should remember about the inversion. 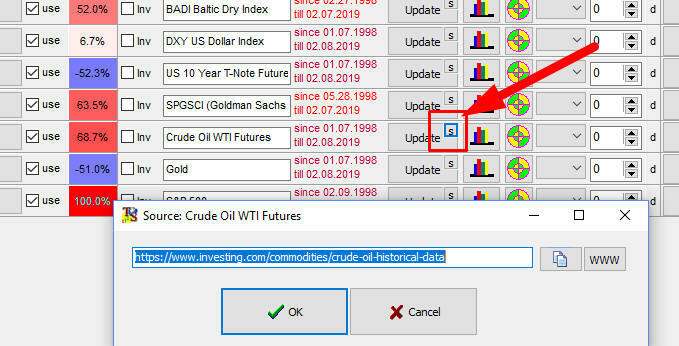 When you click this button the very first time, the eye image will appear on the button, as well as time and price scale for T-Bonds. Now you can shift the T-Bonds chart by dragging the mouse cursor. While you drag this chart, the lag value and the correlation vary as well. This button works in three modes: no image - the standard mode, eye image - displays time and price scale for the compared instrument and arrow image - allows to drag its chart manually. 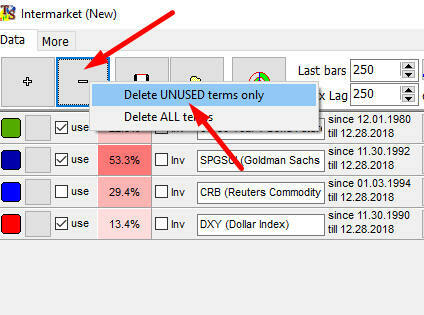 The second option serves in case you want to delete all items and start new Intermarket Analysis from scratch. This module takes some time for calculation. It analyses all available price history trying to reveal leading and lagging indicators for any pair of financial instruments. You need to watch here the highest peak. In the example it is in the left upper side. The left side means that T-Bonds is leading indicator for SNP500. The upper part/zone means that this is normal, not inverted indicator. 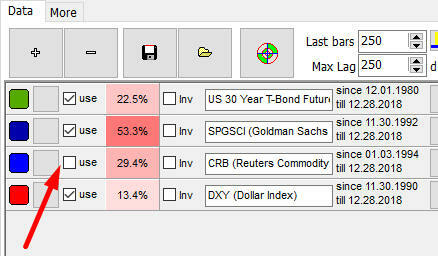 In the Main screen the corresponding shifted forward on 210 days T-Bonds chart will appear. Because T-Bonds is a leading indicator, it can be used for forecasting future SNP500 moves. The forecast power of this leading indicator is 18%, not bad. This is an averaged correlation between analyzed and lagged charts. 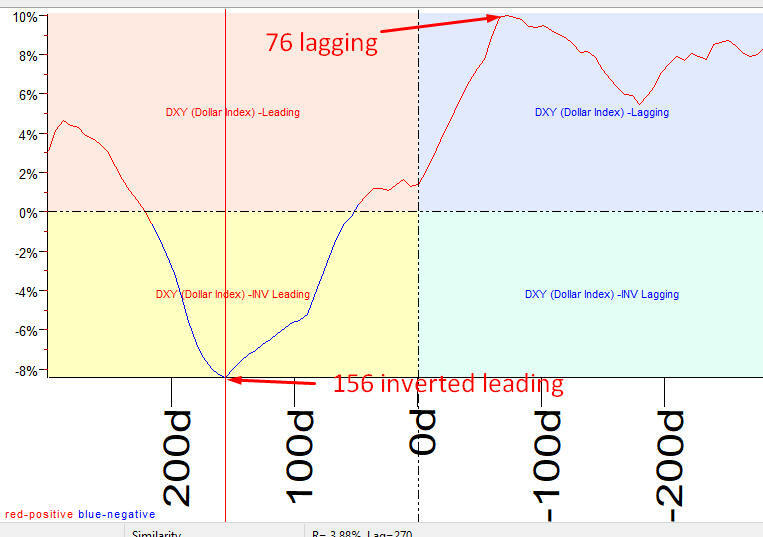 Dollar index is the inverted leading indicator for SNP500 with the lag of 156 calendar days. The same indicator can be considered as lagging with the lag=76 days. This information can be read this way: a lowering dollar index drives the stock market with the lag of 156 days (leading anti-correlation). And when the stock market is getting higher, the dollar index is getting higher as well with the lag of 72 days (a lagging correlation). The same indicator here plays a role of leading and lagging indicator, it shows the phases of some business cycle. However, the forecast power for this indicator is not high: accordingly 8 and 10%, i.e. the averaged correlation for this index is -8% (minus because it is inverted) and 10%. The new strong peak with Lag=0 appeared. 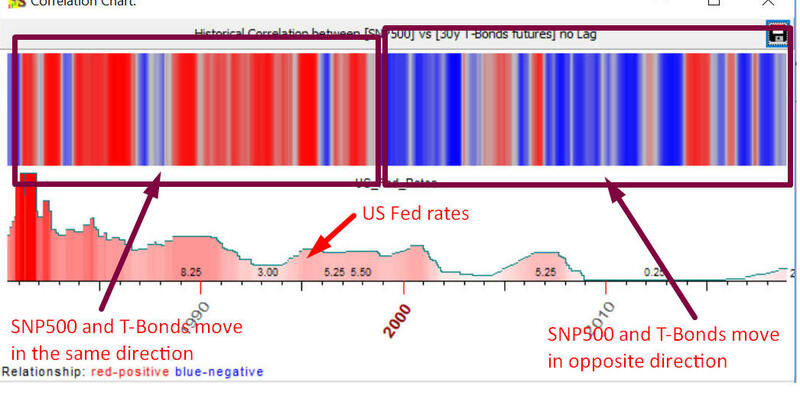 It means that when FED rates are low, we have a strong anti-correlation between T-Bonds and SNP500. If we calculate ILC for the period of high rates, we get the opposite picture: a strong positive peak around zero lag, i.e. the strong correlation between T-Bonds and SNP500. Pay attention, at the same time 210 days shifted chart can be used as a leading indicator for SNP500. After the price history was downloaded, there is no need to download it every time when working with the same financial instrument. Instead, the price history information can be updated. The features designed for it are described below. Pay attention to a panel "since...till"; there you can see always the downloaded interval. 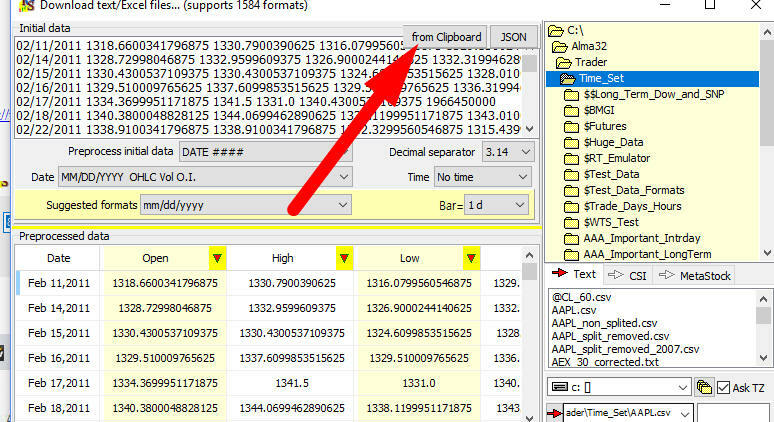 To move this information from Excel to Timing Solution, it should be put into the clipboard. 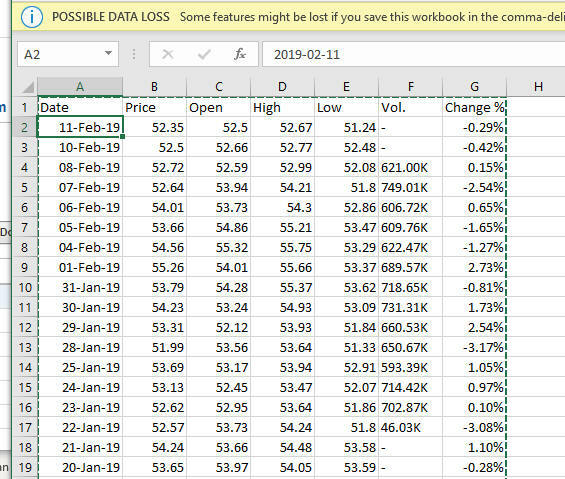 We do that by clicking Ctrl-A to select all data in this Excel table and then clicking Ctrl-C to put this data into the clipboard (another way is to do the right mouse click over selected data and then choose "Copy" in the popup menu). 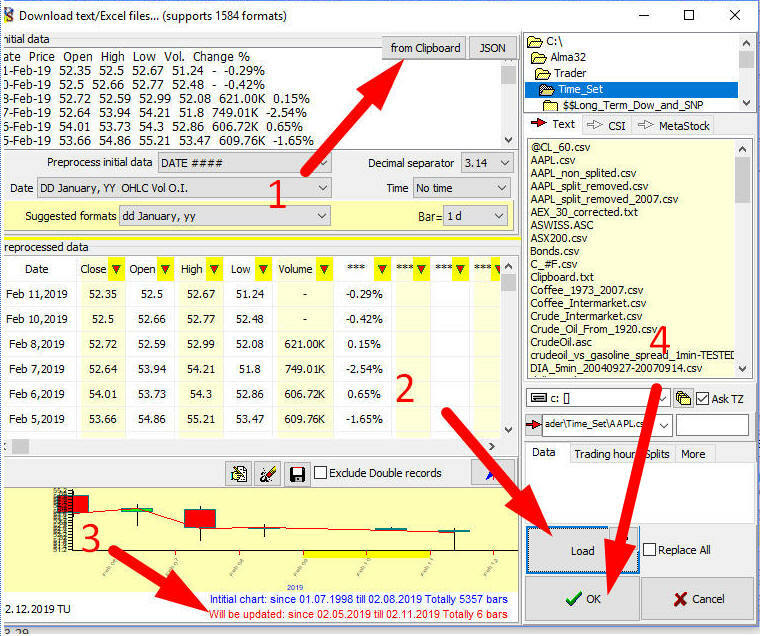 Now the latest price history from the website www.investing.com is in the clipboard; we are ready to update the existing price history in the Intermarket module. It means that you probably need to log to the original website. In this case, simply run your data source website (as an example, https://www.investing.com/) and enter there your login information. After that you can click "WWW" as many times as you need within one session. The program automatically recognizes Yahoo JSON format. The good thing with templates is that you can once define what financial instruments you may need to consider, download them once and later update only those that you really need to work with. Timing Solution has provided two options for that: using a standard template (updated once a week by Timing Solution Support team) and creating your own customized template. The program downloads this template from Internet. When you do this procedure the very first time, your security system will ask to allow Timing Solution to get access to Internet (obviously, click yes). This list is based on our knowledge and the experience of Timing Solution users. However, you may not need some instruments here. 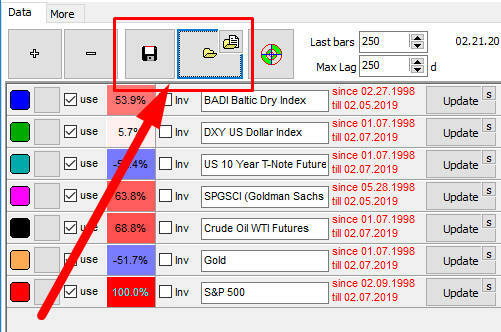 As an example, if you would like to forecast Gold and find leading indicators for it, you do not need Gold in the Intermarket module. So it should be deleted as useless (how to do that is explained above). Only price hiistory will be updated; all your parameters like lags stay the same. We recommend to do this procedure once a week if you work with Intermarket module; you will get the latest available price history. It saves your time. You can also update the price history manually, for each financial instrument, one by one, using the process explained above. It is time consuming, though. To simplify this task, you can use your Intermarket template. 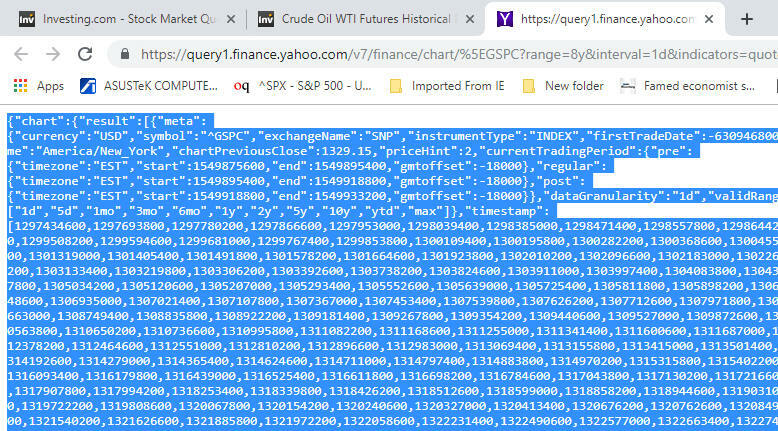 Wikipedia says: In finance, intermarket analysis refers to the study of how "different sectors of the market move in relationships with other sectors." Technical analyst John J. Murphy pioneered this field. 5.9) A falling commodity/bond ratio favors interest rate-sensitive stocks including consumer staples, drugs, financials and utilities. Two last items are related to another approach to Intermarket Analysis, Sector Rotation. It reflects the observation and comparison of different markets in regards to the of Business Cycle. Intermarket module of Timing Solution does not include Sector Rotation. Our approach is reflected in another software, TS Scanner. At Stage 6 stocks and commodities move lower. (Explanation: This is a deterioration in the economy as the business cycle prepares to move from an expansion phase to a contraction phase. Stocks have already been moving lower and commodities now turn lower in anticipation of decreased demand from the deteriorating economy.) Keep in mind that in an inflationary environment stocks and bonds advance together in stages 2 and 3. Similarly, both decline in stages 5 and 6. This would not be the case in a deflationary environment, when bonds and stocks would move in opposite directions. Besides books by J.Murphy and M.Pring, you may want to look at works by Louis B. Mendelsohn, Markos Katsanos, and Ashraf Laïdi. However, they mostly observe market pairs and make conclusions on practical examples at different times. Many of their ideas can be tested with Timing Solution new Intermarket module.